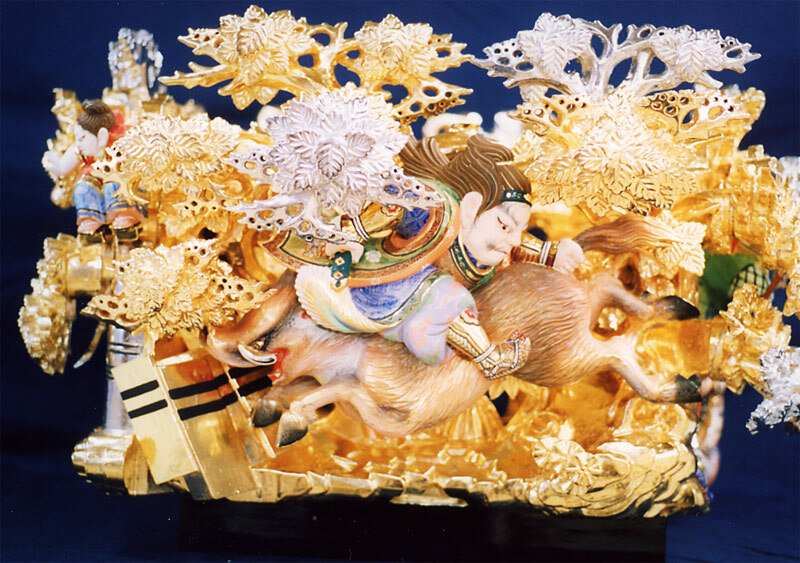 This gorgeous decoration of stall is used in the autumn festival held at Matsubara-Hachiman shrine in Shirahama Himeji every October 14th and 15th, also known as the Fight Festival of Nada. 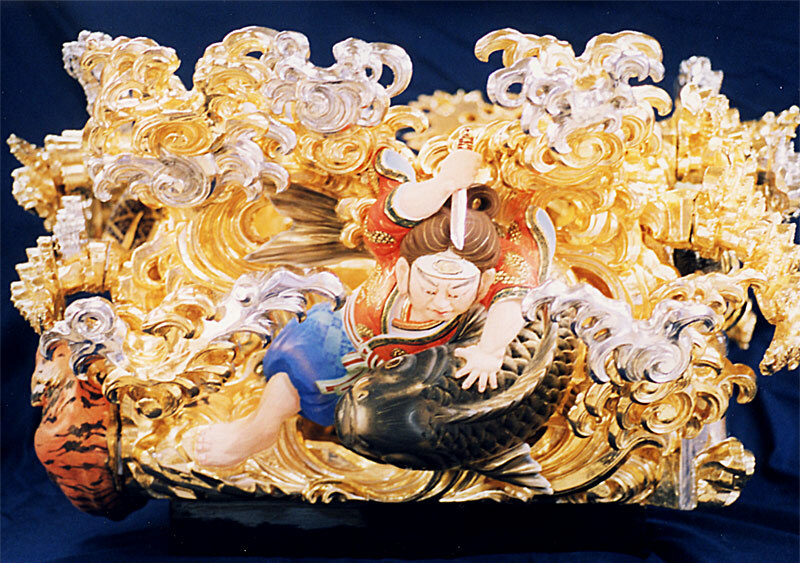 The restoration was commissioned by resident's association of Nakamura. 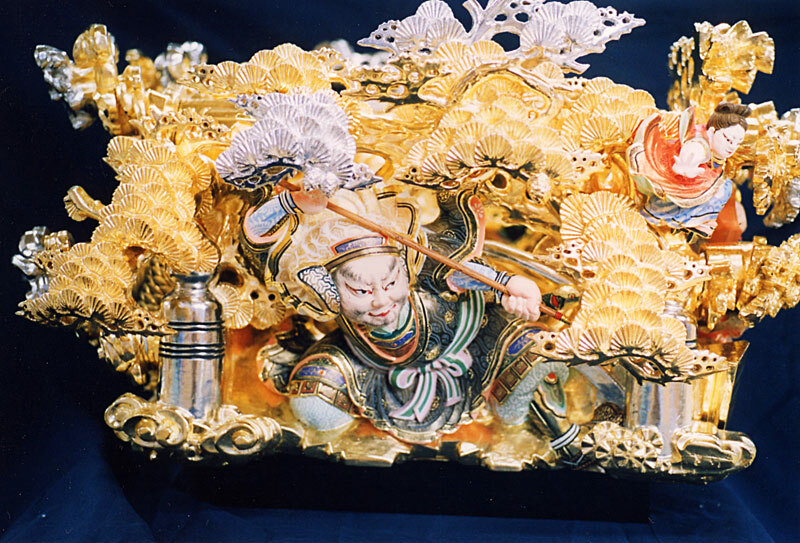 The decoration of the principle of festival contains gold and silver decorations over a roof coated with black Japanese lacquer and relief sculptures and embroideries describing deities and heroes. Paintings on the upper base part of stall called Roban and sculptures installed in between roof joints called Sama were restored. 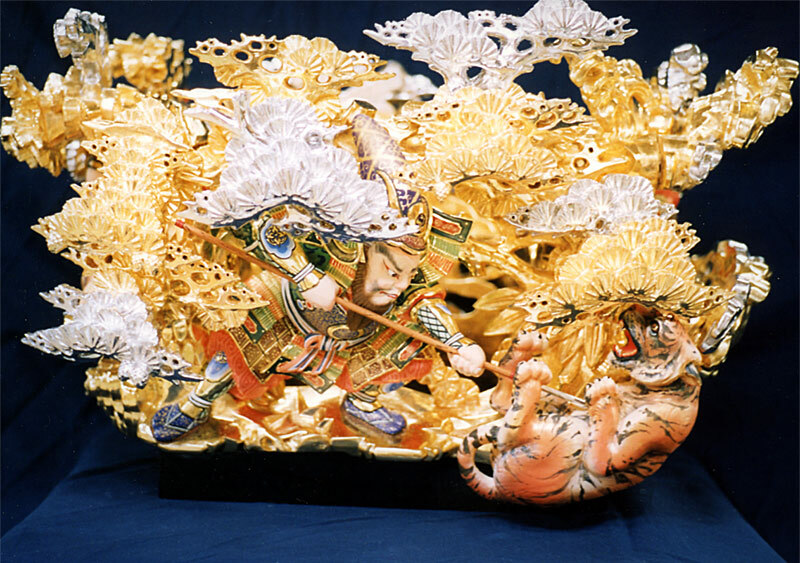 Roban are mostly have historical scenes with dynamic perspective and coated with gold leaves or painted in colours. Sama consists of three parts of sculptures representing deeper perspective. Like as Roban, Sama mostly have historical scenes or stories that belongs to its local area.